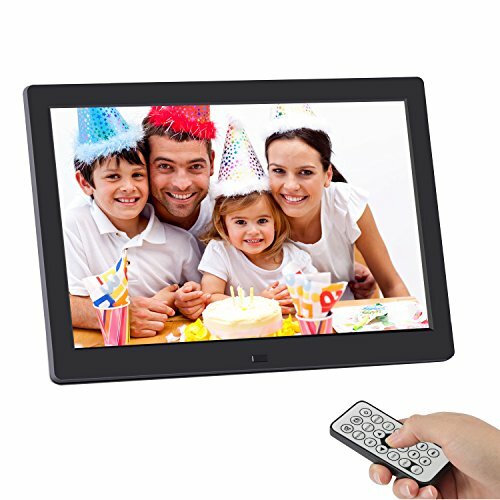 High Resolution 1280 x 800 pixels IPS LED Backlit Display, Multiple Photo/Video/Audio format compatibility. Easy to Use:Plug USB & SD Card,Instantly display all your digital photos.Comes with an intuitive remote control. Built in calendar and clock display. Convenient auto power on/off feature with versatile scheduling,perfect for use in the office or as automated digital signage display.